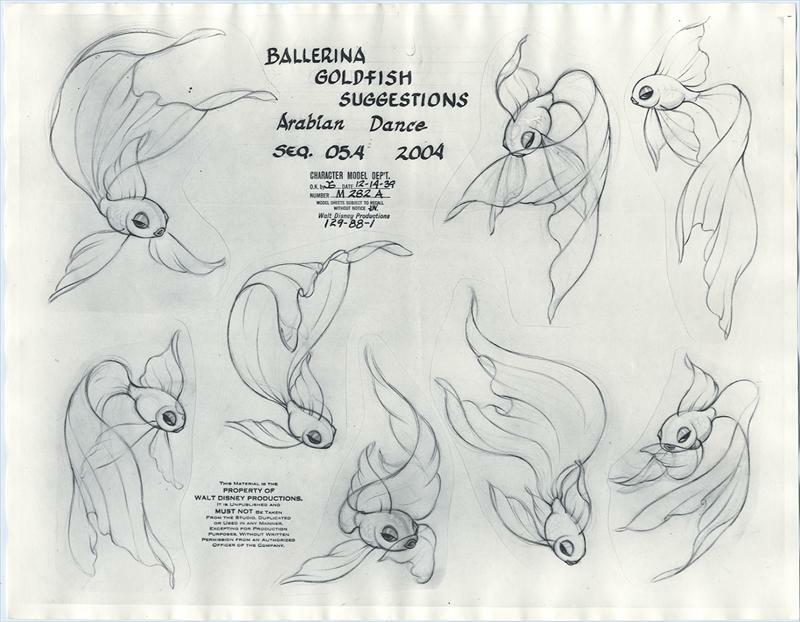 A gorgeous development sketch for the Arabian Dance section, which is a part of The Nutcracker Suite from Fantasia. 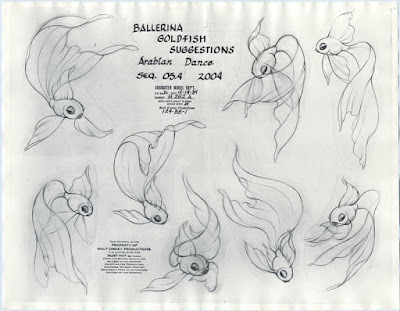 Don Lusk (who will celebrate his 103rd birthday later this year) animated this elegant fish ballet. Interestingly he was never happy with the final color footage of his animation. I had the chance to talk to him in 2014, and he was still venting about the dry-brush paint application on the cels with his fish characters looking just awful. He was in shock when he saw his animation in full color for the first time. What he had hoped for was a transparent look for the fish tails, which could have been achieved by double expose. 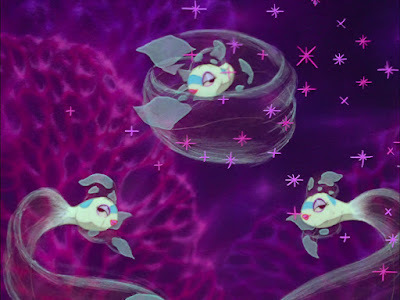 The fish 100%, and the tails only 50%. The dry-brush technique makes the tails jitter, particularly during slow movements. I told him that I actually don't mind the way the sequence looks at all, but Don wouldn't have it. Should have been double exposure, and that's it! A model sheet made up of stunning key poses by Don Lusk. The resemblance to Cleo from Pinocchio is not coincidental. 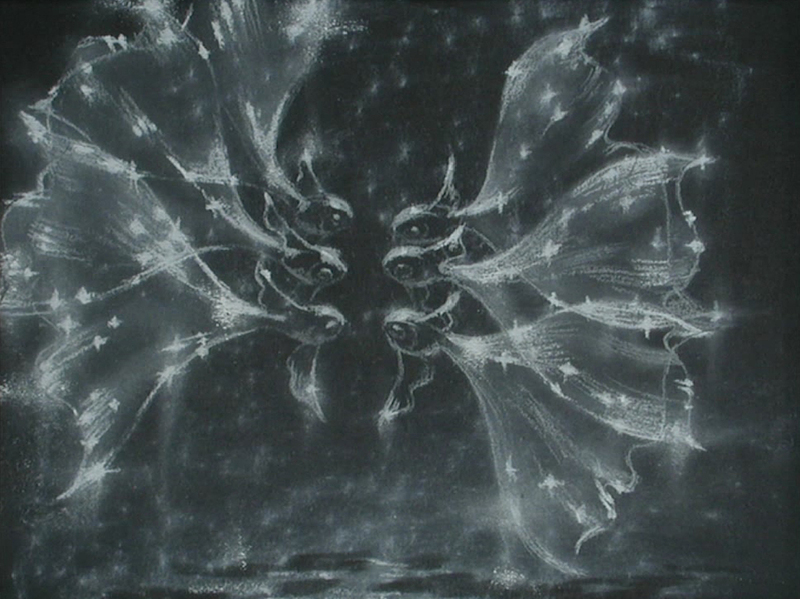 Prior to Fantasia Don helped Eric Larson to bring that character to life.